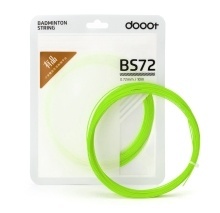 Shock-absorption nylon string for your badminton racquet. 10 meters long, 0.72mm diameter. Multi-core braided nylon fiber to withstand high pounds. Fast speed and good performance.